Periodontal diseases are infections of the structures surrounding the teeth, which include gums, periodontal ligament and alveolar bone. In the earliest stage of periodontal disease gingivitis the infection affects the gums. In more severe forms of the disease, all of the tissues are involved. 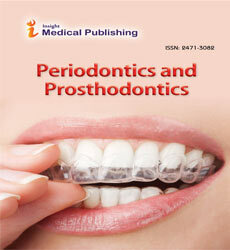 Periodontal diseases journals are associated with the fields of Dentistry, Oral Inflammation and Dental Sciences. Periodontics and Prosthodontics, Oral Hygiene & Health, Oral Health and Dental Management, Periodontology, Clinical Periodontology, Oral Rehabilitation, Clinical Oral Implants Research.